Ich hoffe ihr hattet bisher alle eine schöne Woche? I hope you had a good week!? Für heute haben sich Lena und Cyw Aubergine ausgesucht. Dann war auch eigentlich noch Glitzer geplant, aber am Ende hat mir die Farbe allein so gut gefallen, dass ich es dabei belassen habe. Today's colour is "aubergine", something like a really dark purple. There are so many shades of this colour, that you can't really choose a wrong polish. And I'm sure we'll get to see lots of different polishes, too! I chose the Kiko Magnetic polish, but I didn't use it with a magnet. I just didn't have the time. Then I thought of some glitter, but in the end I liked this colour so much, I didn't want to put on anything else! Habt ihr schon einmal magnetischen Nagellack ausprobiert? Welche Farbe mögt ihr für den Herbst besonders gern? 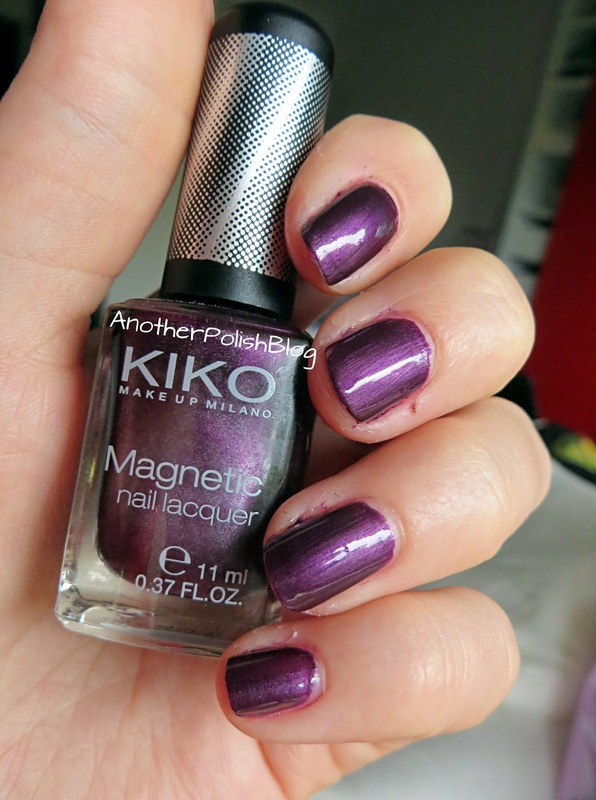 Have you tried magnetic nail polish before? And which colour do you like best for autumn?